The FCA stole the show at the 2018 NAIAS. While everyone expected the new Ford F-150, they launched their Ram 1500 truck. Now, when everyone expects F-150 with a hybrid drivetrain, the 2019 Ram 1500 Hybrid is about to arrive sooner than its rival. The 2019 Ram 1500 Hybrid eTorque system will be used for V6 and V8 drivetrains. In both cases, the outputs are going to jump from the plain level. Torque, towing capacity, and mileage are getting a boost. The final result of the increase of functionality and that is exactly what this kind of vehicle needs. 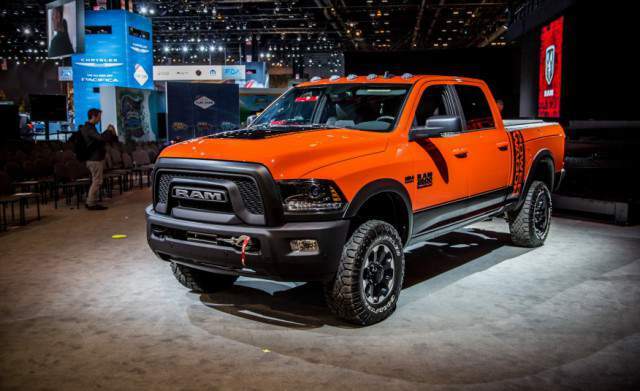 The V6 engine for the base Dodge Ram 1500 truck is a 3.6-l unit with the capability to produce 305 hp. By adding an eTorque system, the pickup gains extra power. Instead of the alternator, the small electric battery will boost the outputs. According to the company, this system will add 90 pound-feet of torque to existing 270 lb-ft. But, we see no changes, either for V6 or V8. As well as for its smaller unit, Ram is creating a hybrid version of the V8 engine. The combination of Hemi unit and electric motors causing more interest. It also should add 130 lb-ft, which is 40 lb-ft more than for V6. However, we need to test this in practice to see if numbers are real. All in all, the hybrid system combines a petrol engine with an electric system. That is a 48-volt Li-ion battery with the 3kW converter. The system will definitely increase torque level and towing capacity. But, the first thought when we mention the hybrid system is a better mileage. Current MPG rating for the Ram 1500 V6 is around 20 mpg. For its bigger Hemi V-8 sibling, it drops to 15/22 mpg. The 2019 Ram 1500 Mild-Hybrid is not boosting these numbers radically. In the matter of fact, the highway rating will remain the same, while the truck gains extra mile in city driving. The battle between two trucks continues in the new segment. We can say that Chevy Silverado 1500 is the archrival of the most popular truck in the USA – Ford F-150. 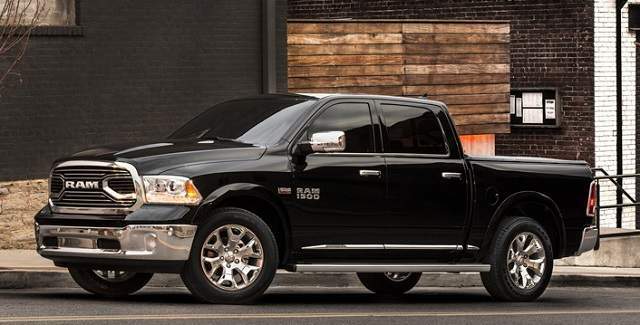 But, with recent updates, the 2019 Ram 1500 is a bigger threat. The pickup from FCA spoiled the party at the Detroit car show and now comes as a hybrid. Well, there are some significant differences between 2019 Ram 1500 Hybrid and Ford F-150 hybrid. The first one uses mild technology for slight improvements. The Ford will launch its truck with serious upgrades. Even the plug-in version is possible. However, the 2019 Dodge Ram 1500 hybrid is the first one to come out, although the buyers will gain more from Ford’s model.